These are exciting times in railway signalling, so much better than they were thirty years ago. When I started my signalling career in the early 1990s, signalling for mainline railways had a bad reputation, for three reasons. One, most people in the rail industry considered signalling a “secret society” or “dark art” with its own language and vocabulary that was foreign and nearly impossible to understand for normal non- signalling folks. Two, whenever I travelled by train and the train stopped on the open track and the public address system finally offered an explanation, the claimed reason for stopping had almost inevitably to do with signalling. By the way, I could bet that in many instances the “signalling problem” was just a regular red signal which protected our train from crashing into another one, which is undoubtedly a good thing. Three, signalling was perceived as the reason why we could not run more trains on these terribly expensive railway lines, thus preventing to make the best use of the railway system and assets. So, signalling is “nerdy and weird” and an inhibitor to railway capacity and performance, that’s how I grew up career-wise. And I did not like any of that. I liked signalling though, so I stayed with it despite those prejudices. It took me over 20 years to do something practical about the lack of signalling understanding. My self-developed training courses on the fundamentals of modern signalling technologies such as CBTC and ETCS – I come back to those in a moment – have helped hundreds of rail professionals to improve their understanding of signalling and gain the confidence to talk at eye level with their peers about signalling topics. The trick is not to hide behind cryptic acronyms and convoluted historically-grown signalling principles, but to simplify explanations as long as needed until a halfway intelligent non-signalling person can understand them. This is meant to be my legacy, if there ever is one. How New Are New Signalling Technologies? But I digressed. Back to the other problem with signalling and the topic of this article. I’m not sure if the “new technologies” in signalling that revolutionise the railways these days are really that new. 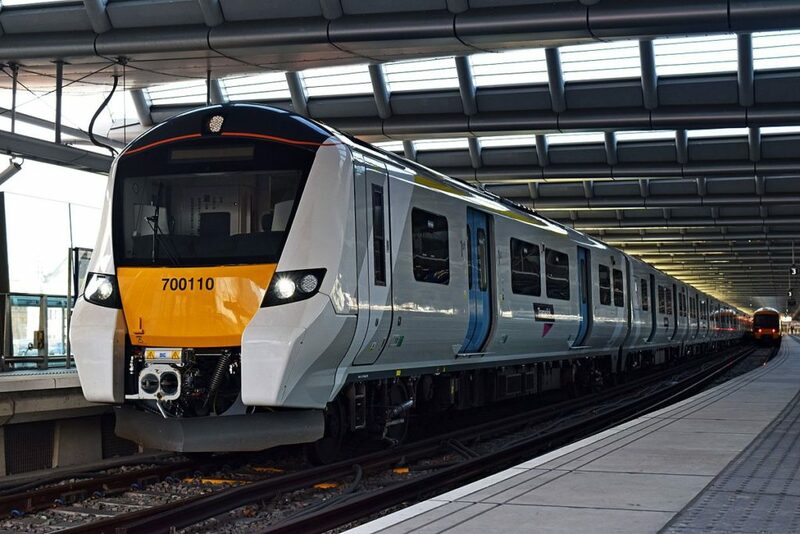 Automatic train operation, for example, has existed in railways for over fifty years since it was first introduced on the Victoria Line of the London Underground in 1968. And first installations of the Communications-Based Train Control (CBTC) technology with moving-block signalling already existed when I had my signalling woes in the early 1990s. But those CBTC installations were exceptions, and the railways using it were considered by many as the “odd ones out”. An elevated skyrail in Toronto? A rubber-wheeled people mover between two airport terminals? A tiny light rail service in London Docklands? Outsiders, not the norm. What Is Really New Here? So it is not the technology itself which is so new in 2019. CBTC has meanwhile become the de-facto standard for control of high-performance metro railways in far over 100 cities around the world. In China alone there are over fifty cities which have, or are constructing, metro railways. 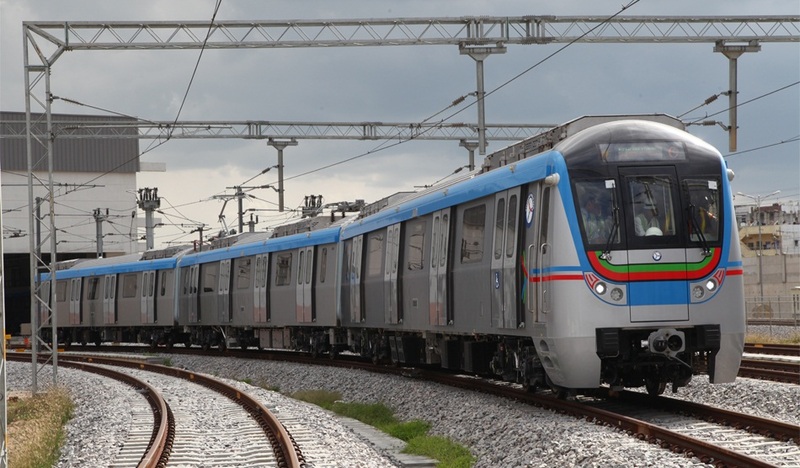 (Image Credit: Hyderabad Metro) Hyderabad Metro has one of the first CBTC applications in India. India is another country where CBTC technology spreads very nicely, and an increasing number of Indian metro lines benefit today from the outstanding capacity and performance offered by modern CBTC. The other new trend in global signalling is the increasing adoption of what I call ‘high performance signalling’ to mainline railways. Mainline railways are not just lines for high- speed trains or other long-distance passenger and freight rail services. Mainline railways serve cities as well, and some of those systems such as London Overground or Paris RER have a network which is exclusively in and around major cities. As those cities grow, patronage demands for those railways skyrocket and in most cases the first buffer stop for higher capacity is the legacy fixed-block signalling system where even all practical attempts to have more and shorter block sections cannot get reliable operational capacity any higher than twenty trains per hour, at rather slow speeds. In a similar way that CBTC became the mainstream technology for mass transit metro railways, the European Train Control System (ETCS) has developed into the globally most popular signalling technology for mainline railways. This is mainly due to the multi-supplier initiative, driven by political harmonisation efforts for rail traffic across European borders, to develop an interoperable technology for automatic train protection which can be overlaid to improve legacy signalling systems. ever, the customer pull for technical innovation is significant, and there is a clearly defined vision for “ETCS Level 3” with moving-block signalling which aspires to bring CBTC-like capacity and performance to busy mainline railways. However, the path to ETCS Level 3 is everything but straightforward. Functionally, the train integrity detection which is essential for moving-block signalling is much easier achievable for fixed-formation multiple units in metros than for loco-hauled freight trains of ever-varying length. Standardisation is difficult, too. Every signalling supplier in the ETCS development consortium UNISIG has an existing moving-block solution – their own CBTC product. But they are proprietary and non-interoperable, so developing an interoperable moving-block ETCS requires companies to redevelop their products, and potentially falling behind their competitors. Add the complex and time-consuming process for ratifying new releases of the ETCS standard, and you see why this is not the best of environments for fast-paced efficient technology advancement. I firmly believe the migration path towards ETCS Level 3 cannot happen top-down, from existing CBTC products without the will to change them, but must evolve bottom-up from the already interoperable basis of radio-based ETCS Level 2. 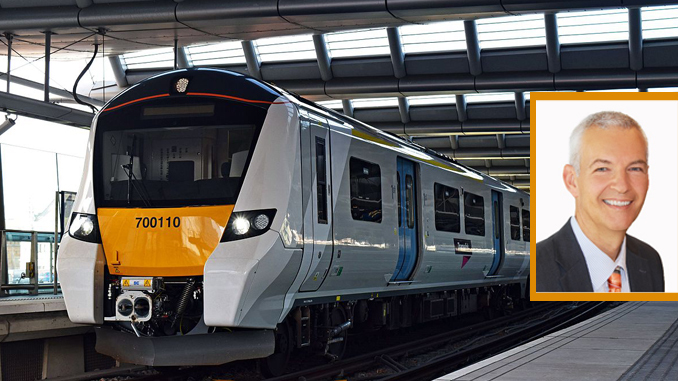 (Image Credit : wikipedia) The Thameslink project in London is a prominent pioneer of enhanced ETCS Level 2 with Automatic Train Operation. That’s why I prefer calling this enhanced form of ETCS “Level 2+”. Trains that are fitted with whatever add- ons that make out that “plus”, for example Automatic Train Operation or virtual-block detection, can operate at higher levels of capacity and performance, while trains with normal ETCS Level 2 can still operate on the same lines, only at lower operational performance. Some people like to put a bit more hype into the naming of this ETCS evolution by calling it “Hybrid Level 3”. You do you, but I find it misleading as it implies that ETCS Level 3 is just around the corner and already exists in parts. It doesn’t. New signalling technology, in the perspective of a railway organisation, may just mean that the technology is novel for that railway. The challenge is then to embrace that novel technology and introduce it in a sensible, successful manner. In combination with the significant changes to operational processes and the organisational skills, competencies, roles and responsibilities required for utilising high-performance signalling, the “people factor” is at least as important for success as the technology itself. The attempt to enforce interoperability between the CBTC products of two suppliers who appear to have no strategic interest in having interoperable CBTC products. The selection of an additional new CBTC supplier, just because they offered the lowest price, which then turned out to be incapable of delivering the project to the client’s expectations. The decision to mix and match one supplier’s interlocking with another supplier’s CBTC through two separate contracts (which was revoked many painful years later). The assumption that interoperability between different suppliers is achieved by default just because the chosen technology is called ETCS. Using “procurement necessities” as justification to create a world-first combination of ETCS and CBTC, using different suppliers for both systems of course, where system integration is natural to become a nightmare. The list above could go on, but fortunately there are also lots of positive examples where new or novel signalling technology was introduced smoothly, on schedule and pretty much within budget. There are some “experts” out there who really understand how this can be done. Listen to them, and if you get convinced that their advice matches your own common sense, follow that advice and you will be fine. The more signalling systems we get that do no longer hamper but boost the capacity and performance of railway systems, the more we can relish the new, exciting times in signalling. 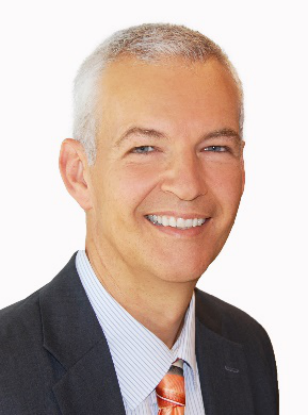 Mr.Doc Frank Heibel is a German-born and Australia-based independent strategist and thought leader for high-performance signalling technologies such as CBTC and ETCS. His mission is to bring modern signalling closer to non-signalling people, through no-nonsense advice of his clients, delivery of self-developed product- agnostic training courses for CBTC and ETCS, and provision of high-quality free content via social media, an email newsletter and a blog. It is virtually impossible not to find him via the internet, and he enjoys the mindful interaction with his ever- growing network. Feel free to “join the club”.